Vegetable fibers are usually classified in two ways: according to the part of the plant from which they are obtained and according to the uses to which they are put. There are following main groups of the plant fibers: So-called "seed hairs" or floss, which are borne on the seeds or the inner walls of the fruit such as cotton, kapok, or Akund floss. Bast fibers are harvested from the inner bast tissue or bark of the stem, and some of them are commercially most important: flax, hemp, jute, ramie, etc. The next groups of vegetable fibers are as follows: Fibers which are obtained from the leaves of the plant: sisal, abaca or Manila hemp, henequen, pineapple fiber, New Zealand flax (yield fiber from its leaves), etc. ; cellulosic fibers such as many varieties of artificial silks; and the miscellaneous fibers which are obtained from other parts of plants: The most important for commercial purposes are piassava, coir or coco-fiber, Italian and Mexican whisk, and raffia. Rare in commercial use: sunn, silk grass, canton and pacol fibers (hybrid between edible banana and abaca), different palm fibers including date palm, and many others. Flax is the bast or phloem fiber and it is obtained from the bast or skin of the stem of the flax plant. This fiber is soft, lustrous and flexible, much stronger than cotton, rayon, wool, but weaker than ramie. 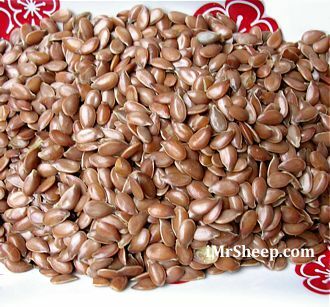 Flax is grown both for its seeds (and linseed oil) and for its fibers. The quality if the flax produced is mainly influenced by the weather conditions but not the quality of soil. In Russia, where the summer are short but hot, the flax is generally strong but not the highest grade. In Ireland, a flax crop can be the best quality if the weather towards the end of July was warm and dry. In hot climates, flax plants produce more seeds. But flax does adapt itself to different climates with ease, but it is a difficult crop to grow successfully. Flax exhausts the soil more than other crops, but no more than wheat, or other grains. The varieties of flax are classified generally into those with white, blue, or purple flowers. The taller blue-flowered, fine-stemmed varieties of flax are grown for fiber production while the shorter one - for linseed oil. After the flax straw has been retted, dried, beaten (or scutched), it can be put to further treatment to improve its quality - by stroking, combing, and putting it through hackle pins. Before the fiber is spun into yarn, it is hackled by the spinners. The fiber in its unspun state is called Flax (Linum usitatissimum). After it is spun into yarn it becomes Linen. Production history: Linen may be the oldest fiber known, judging by references in the bible and samples found in Switzerland, which date back to about ten thousand years. It is naturally beige, tan or grey in colour. Up until the 1950s or so, the finest linen yarn was made in Scotland, Ireland (Irish linen), Holland, Northern France, and Belgium. The climates of these locations were ideal for natural processing methods called "retting": the removal of the gummy resin, which binds together the flax fibers in the long stems of the flax plant. In Ireland and Scotland, retting took place in retting dams and rivers, and could lead to pollution. In continental Europe, where temperatures are higher, dew retting in the fields could take place, this was favoured from an environmental viewpoint. Uses: Linen can withstand washing in hot water and scrubbing, and can be bleached by being spread in the sun to dry. These properties led to its use from the early Middle Ages for underwear, shirts, chemises, and other clothing worn next to the body (collectively called "body linen"), and also for sheets and pillowcases, napkins and tablecloths. Although these are now often made of cotton or synthetic fibers, they are still called "linens", "bed linens", and "table linens". Linen is also used for cloth, canvases, sails, tents, and even for books (the only surviving example of which is the Liber Linteus). Due to its strength, in the Middle Ages linen was used for shields and gambeson. Because of its capacity for absorbing water (e.g. sweat from hands), Irish linen makes the best wrap for pool/billiard cues. Paper made of linen can be very strong and crisp, which is why the United States and many other countries print their currency on linen-based paper. FYI, Flax is a naturally organic fiber. Flax plants are naturally resistant to pests and practically no pesticides and herbicides are necessary to grow these eco-friendly stem fiber plants. They also produce large amounts of usable fiber per acre and, at the same time, do not require irrigation. Cotton, flax, and hemp behave differently from wool, and special handling is required. 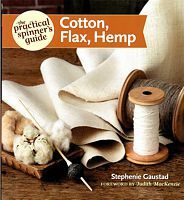 In this book, author offers a detailed overview of each plant, the fiber it produces, and how best to card, prep, and spin the fiber, specially detailing trouble spots like drafting and adding twist. She also covers finishing yarns - cleaning, setting, twist, plying; discusses best dye processes, spinning for both knitting and weaving, covering fabric properties of each fiber. Pure Linen, Cottolin, Hemp, Natural blends with Nettle Fiber are in our inventory. Yarns and garments made of Linen, Hemp, and Nettle are valued for their superb breathability, strength, silky lustrous texture, and pesticide-free agriculture. 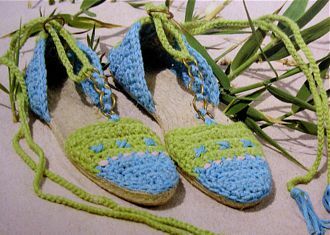 These fibers have been in use from ancient times and make our life much comfortable in hot weather. "Far away in the land to which the swallows fly when it is winter, dwelt a king who had eleven sons, and one daughter, named Eliza." The king married a very wicked queen who turned eleven brothers into wild swans, and Eliza saved them by making eleven Nettle Shirts: "The little mice ran about the floor, they dragged the nettles to her feet, to help as well as they could. " - The Wild Swans by Hans Christian Andersen ». Nettle makes wonders. Fibers from flax, nettle, hemp, milkweed, and dogbane have been use thousand of years to make textile, food, and medicinal remedies. For centuries, Nettle is used for joint pain and arthritis by drinking the nettle tea. It contains histamine and helps fight allergies. Also, Nettle a great remedy for treating dry skin and eczema.